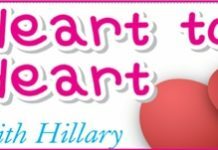 Home Blogs Heart to Heart with Hillary The ATM strikes back? I am trying to avoid the well documented pitfalls that you highlight in this column – and thank you for some good advice over the years. I will be coming over again this year, but I read somewhere that all Thai girls want is to get their hands in your pockets, and once they have cleaned you out, that’s it. “No Money, No Honey” as the T shirt says, but is this really true? I have met a few nice girls every time I’ve come over, and although I pay for everything when we’re out together, I think that’s natural. I pay for everything here at home when I take out a woman, so what’s the difference? There will always be some payment down the line, Charlie. In the hard light of day, after the commerce of the previous evening, you have to remember that your young woman has been working. That is her job, and that is how she pays for her room, buys food and sends money back to the village so that her mother can look after her baby. Now, would you continue to work for a company that doesn’t pay you? You might even wear a T shirt which says “No Salary, No Slavery” or something similar, would you not? In reply to your questioning whether all Thai girls want to get their hands in your pockets, the answer is an emphatic No! But that is when you are talking about all Thai girls, and not just the Thai ladies of the night. The answer would be somewhat different then. Enjoy your time here, you sound like a gentleman.